This Harry Potter Hedwig Owl mug is the next best thing. Let this faithful Hedwig sit by your side each morning as you face the challenges of the day ahead. This white ceramic mug has a easy grip handle, the logo on the back, and can hold up to 350ml of your favorite liquid. Just keep it away from Killing Curses! We know Owls of the wizarding world have a variety of personalities and serve many functions and are certainly not nocturnal, however they also provide communication between fellow wizard comrades carrying letters for delivery and they are critically magical. If you want to join Harry Potter and his pals at Hogwarts, then you’ll need your personal Harry Potter Hedwig Owl mug. Made with excellent quality ceramic material this mug will bring all your magical dreams to life. 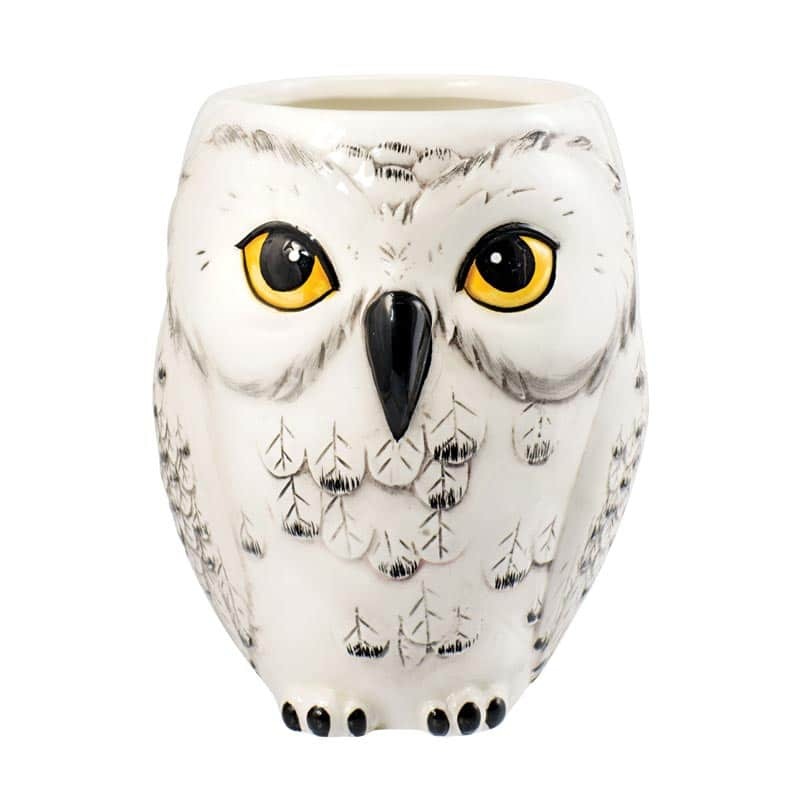 If the thought of owning a pet owl scares you to bits, then this mug will ensure to fulfil your secret desire. Enjoy the serene views from your hogwarts dorm window while you relish on some hot coffee or a cuppa cocoa in the company of this alluring owl mug. This mug is reserved only for specified Hogwarts alumni. Gryffindor waits for no muggle.